Mercedes-Benz GLA Interior, Sat Nav, Dashboard | What Car? The GLA's interior is much the same as a Mercedes A-Class's, which means you get an eye-catching dashboard with slick-feeling rotary-style air vents and a smattering of gloss and metal finishes. However, some of the plastics don’t feel as dense as you might hope, and there are sharper edges around the lower parts of the interior. 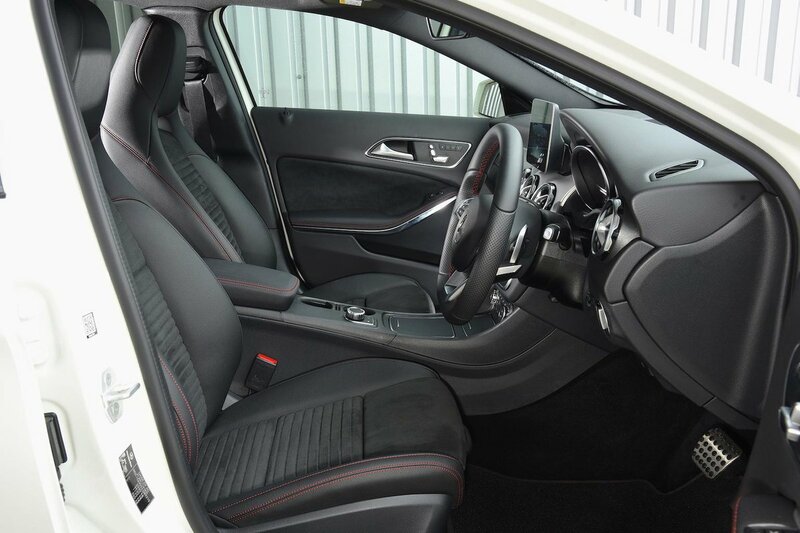 Put simply, an Audi Q3 has an altogether more upmarket interior. It’s also a shame that you have to pay extra for adjustable lumbar support, but it's worth adding since the standard seats aren't great for your lower back. Offset pedals also make the driving position a little awkward. But at least the dashboard is easy to use, apart from the fact the air-con controls are hidden behind the gearlever. 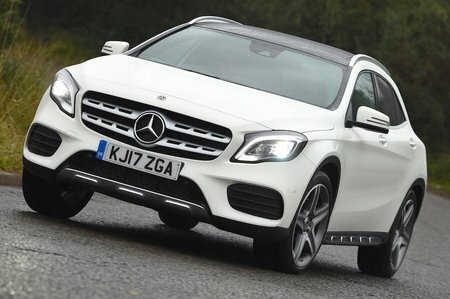 Visibility in the GLA isn’t as good as it is in boxier rivals like the Audi Q3 and BMW X1, either, which have broader rear windscreens and slimmer pillars. Still, while the GLA’s swooping lines can make it hard to judge the extremities in a tight spot, you do get a reversing camera as standard on all models. SE trim gets you a 7.0in colour display positioned high up on the dashboard, meaning you don’t need to divert your eyes far from the road to see it. Switching between the various on-screen functions is mostly straightforward thanks to the intuitive rotary dial positioned between the front seats. However, the three-layer menu system isn’t the most logical, so some processes take longer than they should. Even more annoying is the fact that DAB radio is a pricey option on all models apart from the range-topping GLA 45 AMG. At least Sport and AMG Line trims get a larger 8.0in screen, and dual-zone climate control that allows you to set specific temperatures for each front passegner, rather than just opting for hotter or cooler air. 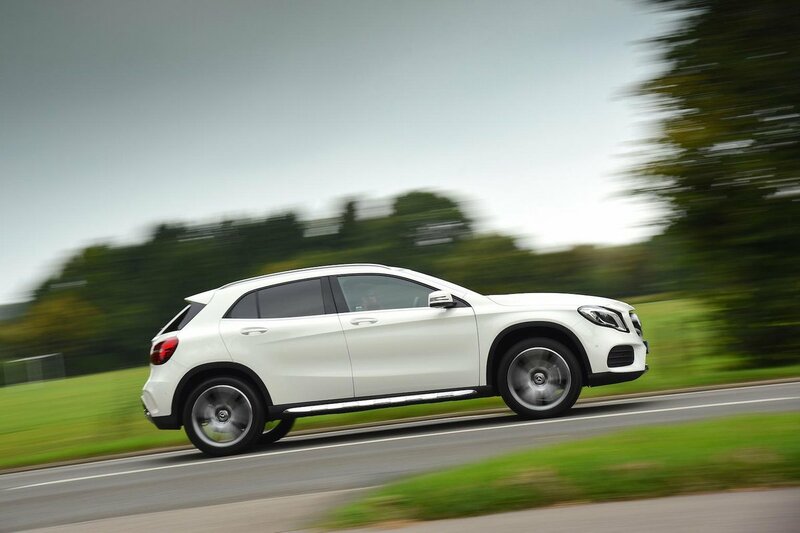 Apple CarPlay and Android Auto smartphone mirroring also come as standard on every GLA.